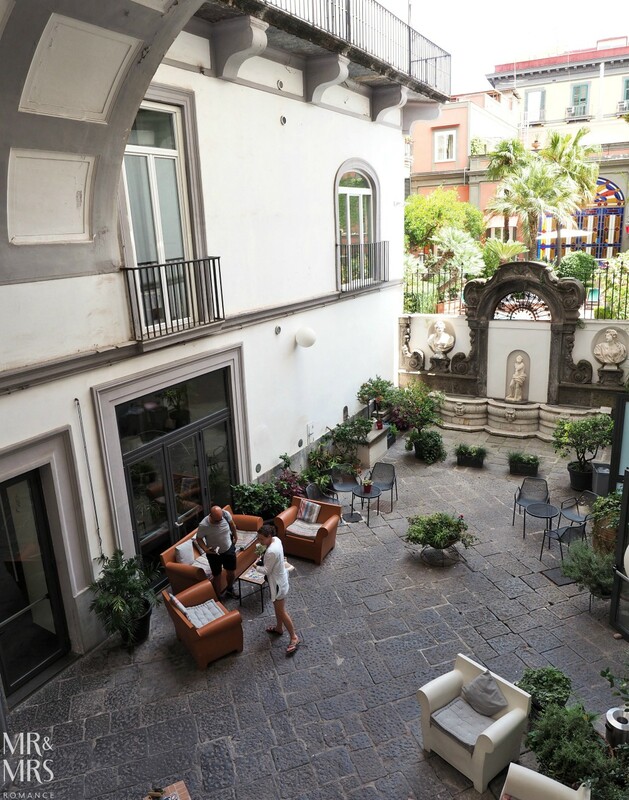 The Hotel Piazza Bellini tells Naples’ story with a sense of fun and place. 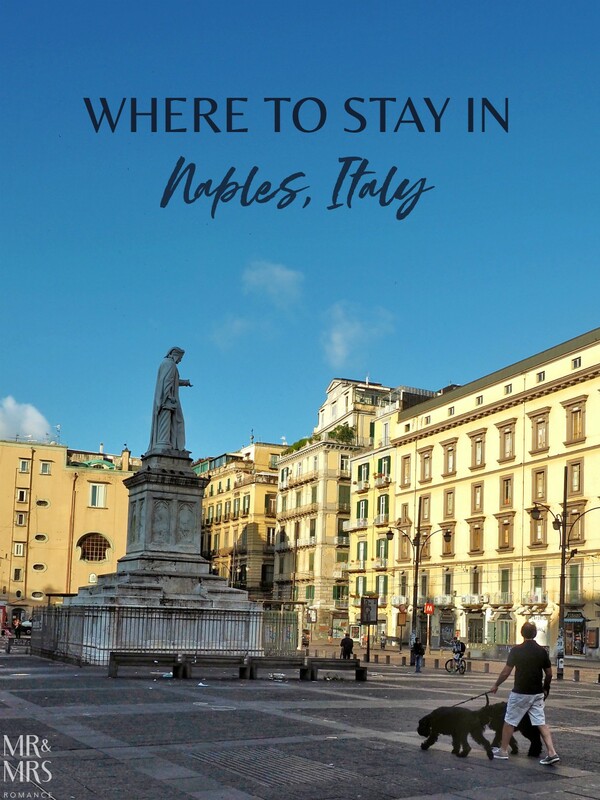 Within the walls of a 16th Century Neapolitan palace in the very heart of Naples, this is the hotel that’s not only your home, it’s your Napoli. 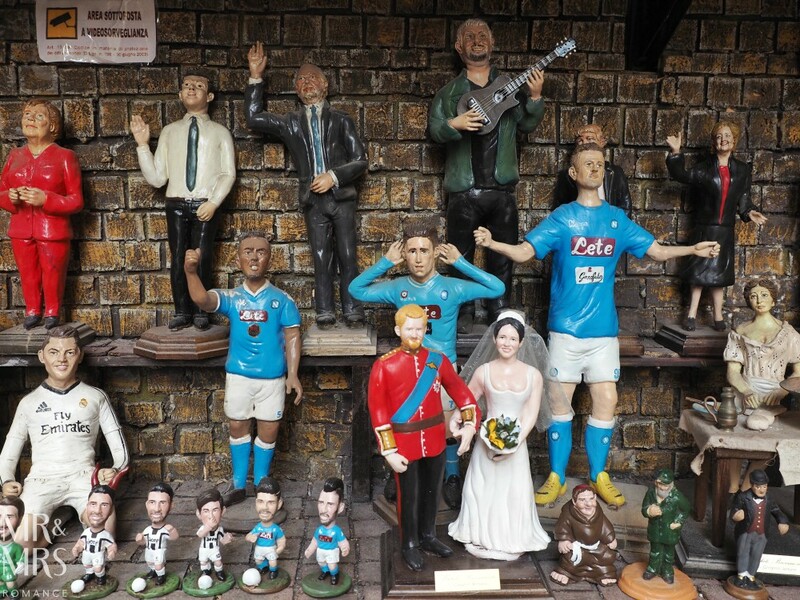 More than just a place of contrasts, Naples is a city of harmonious anachronisms and oxymorons. 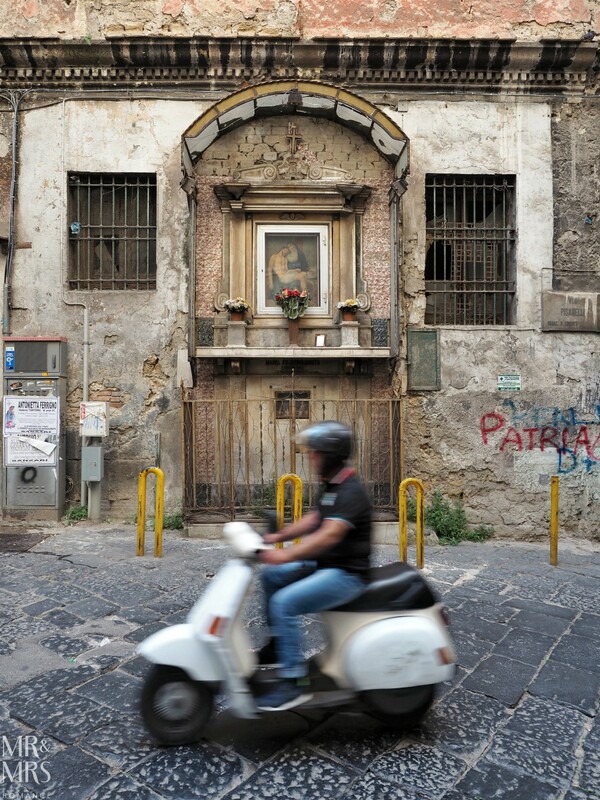 Gritty elegance and roguish nobility mixed with piazza culture and modernity set within crumbling walls – that’s Naples. Quiet cafés down little side streets run parallel to thronged avenues of noisy bars and busy enotecas. And everyone is at peace with this. 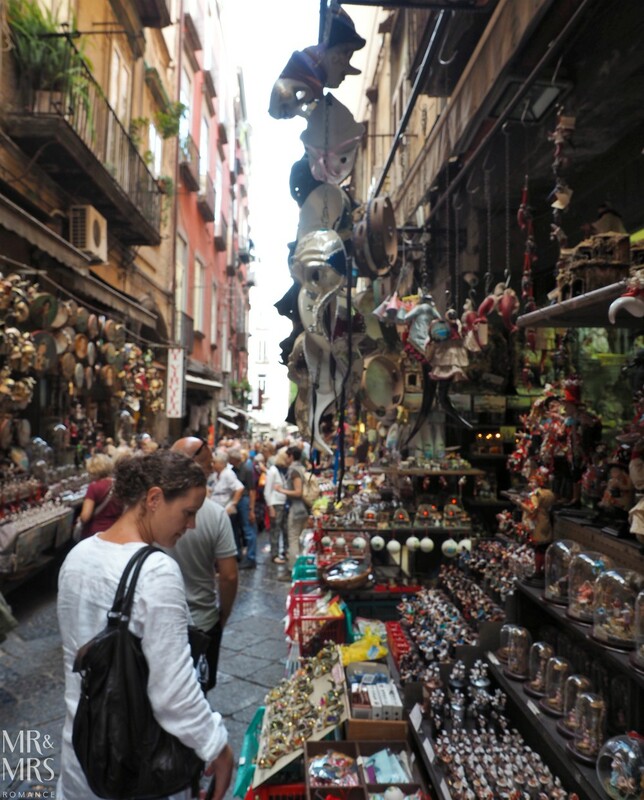 It’s this balance, these appositions that give Naples both its life and its past. And the Hotel Piazza Bellini amplifies it with megaphonic finesse. 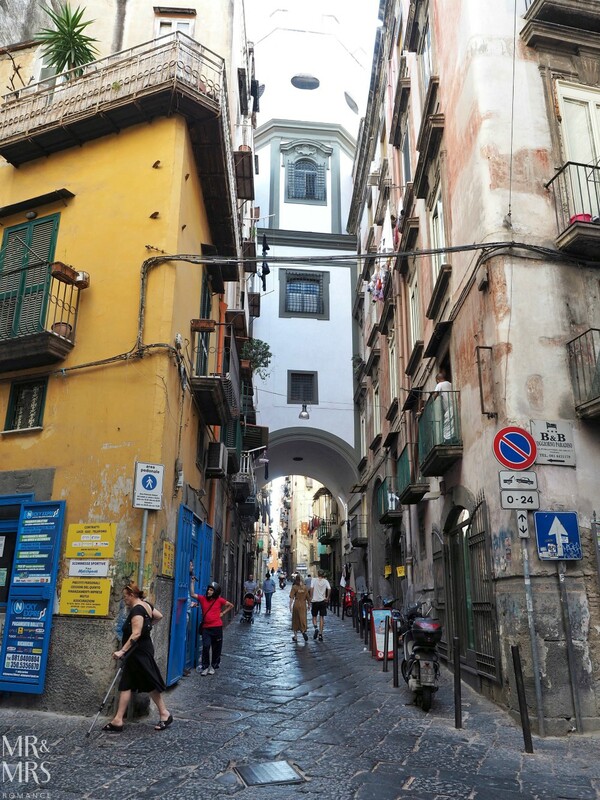 This 64-room modern hotel sits in the middle of the most historic part of Naples. Surrounded by bars, cafés and little restaurants, it’s well positioned for visitors to get in amongst the romance of this living city from the moment they leave the hotel. Through secure gates and a grand archway, the entrance leads you through to a shady courtyard. On fine days, this courtyard acts as the hotel’s lobby and you can take breakfast here in the morning. Inside, the grandeur of this palace from the late 1500s is clear. 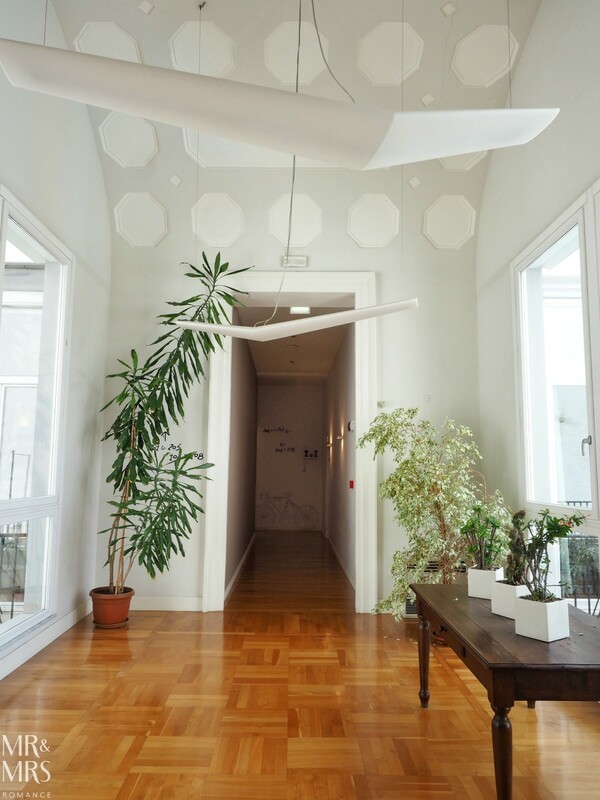 Lofty ceilings and wide halls give way to winding corridors and staircases, and picture windows that open up onto the courtyard and the city streets below. The rooms, like the rest of the hotel, are a wonderful contrast to the building’s ancient and regal beginnings. Rather than a stuffy over-egged décor you’d be tempted into following given the history to this palace, the owners have been brave. Bright colours, modern lines and minimalist furnishings give this hotel very young vibe, lively and interesting. You get the feeling of a fun outside-the-box boutique hotel like the QT Hotels. 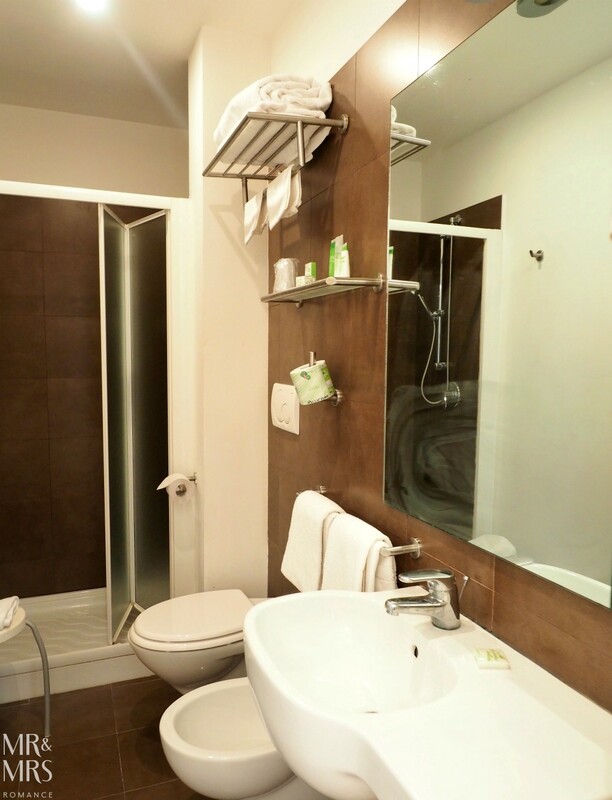 Standard rooms are spacious – especially for Europe – and without too many frills. 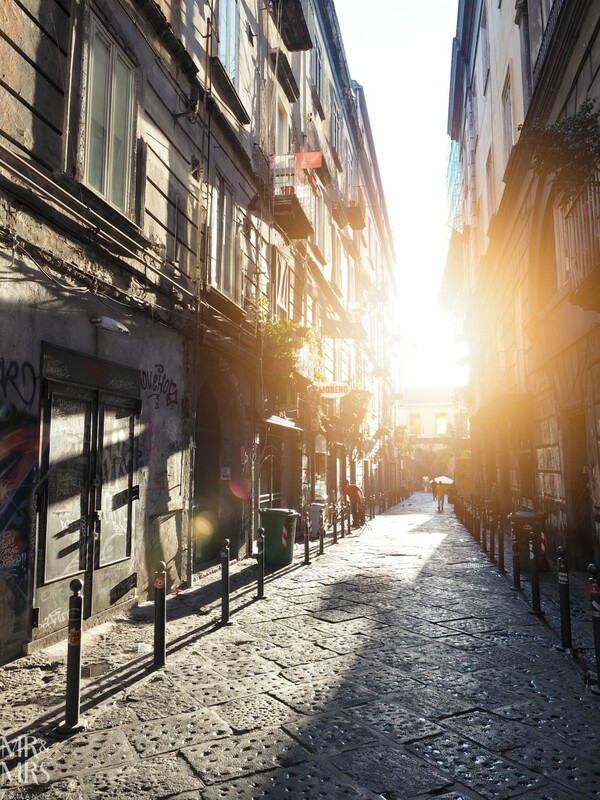 With a city like Naples waiting for you, there’s no need to spend too much time in your room. There are bigger rooms available – with terraces looking out over the city and also with a mezzanine giving more space for families or for an ‘almost-suite’ feel. The important thing to note is each room is quite different in décor and layout. Quirky art adorns the walls and even the hotel’s street sign, designed by local artist Alessandro Crocchia, has incorporated and poked fun at the ubiquitous graffiti you see all over Naples. 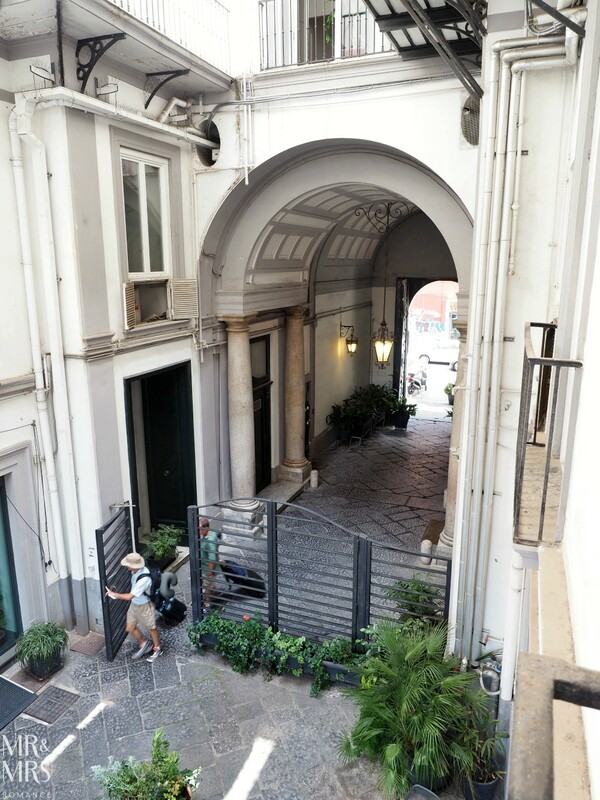 The hotel’s eponymous piazza – Piazza Vincenzo Bellini – across the street is quite small. 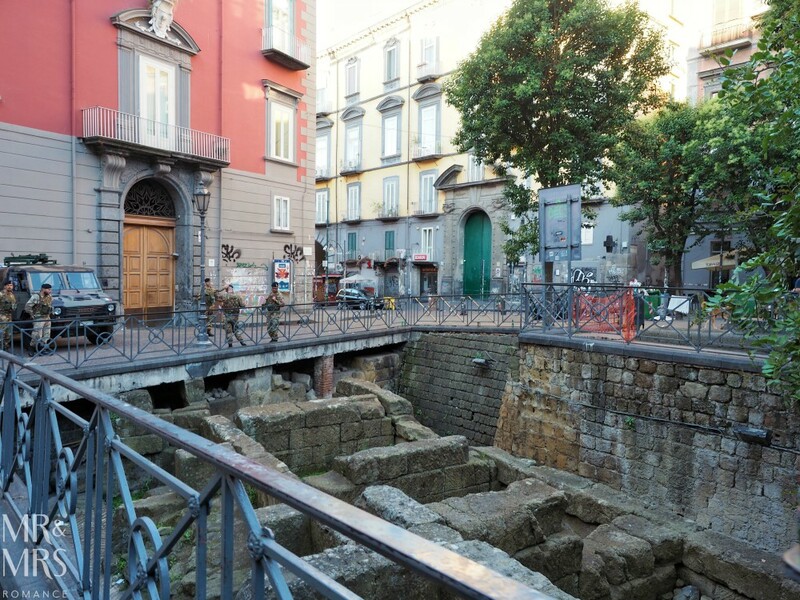 But next to the little café there is a cordoned off archaeological dig of the ancient Greek city of Neapolis, which predated Roman habitation. 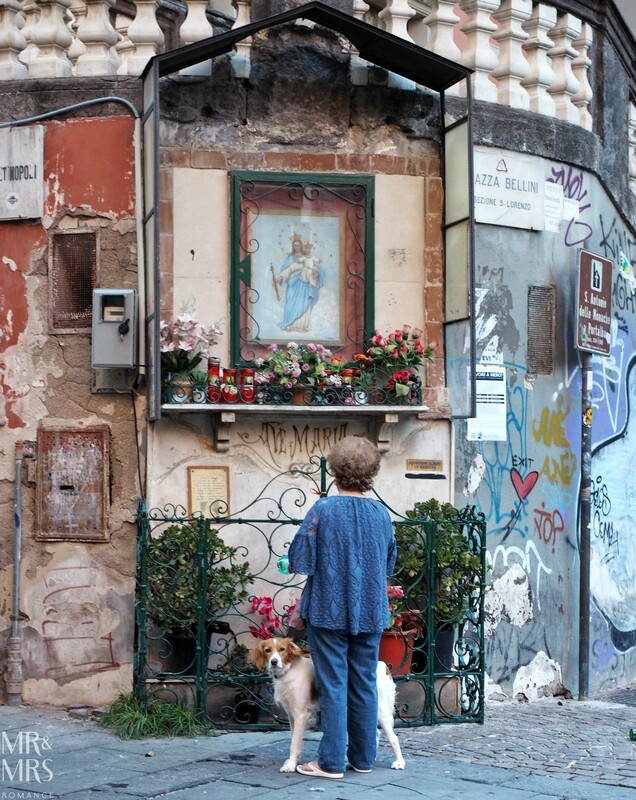 It’s not much to look at, but it shows how much there is to see literally on your doorstep wherever you go in Naples. 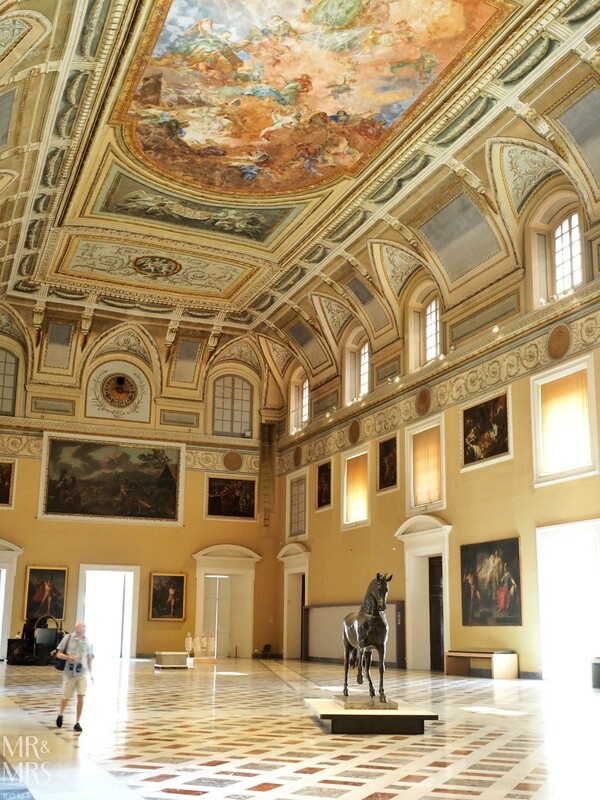 Like any big city, Naples is home to many museums. Indeed, one of the closest metro stations to the Hotel Piazza Bellini is called Museo! 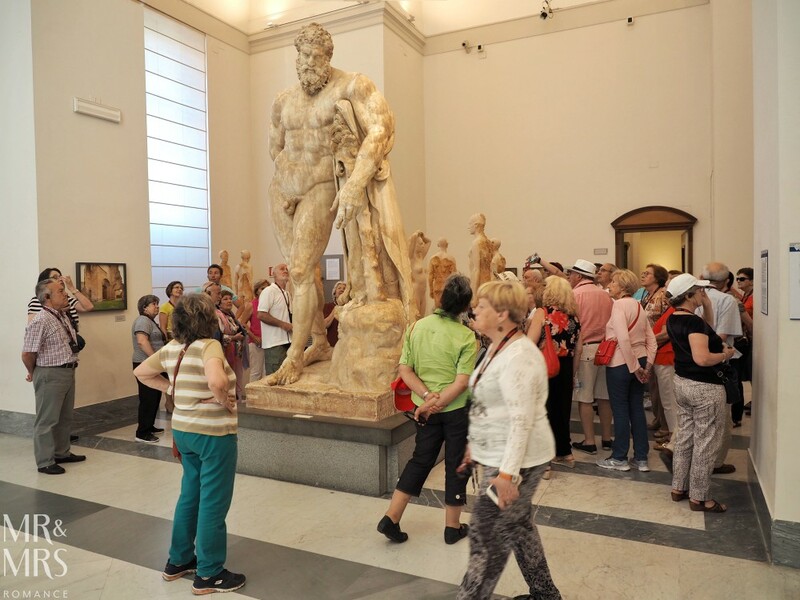 And after our trip to Pompeii, which you can read all about and watch our video on Pompeii here, we found the Naples National Museum of Archaeology (Museo Archeologico Nazionale di Napoli) the most interesting – it’s also right next to Museo Station. In this museum are the real artefacts from Pompeii. Most of what you see in Pompeii are plaster casts to protect them from weather, theft and vandalism. 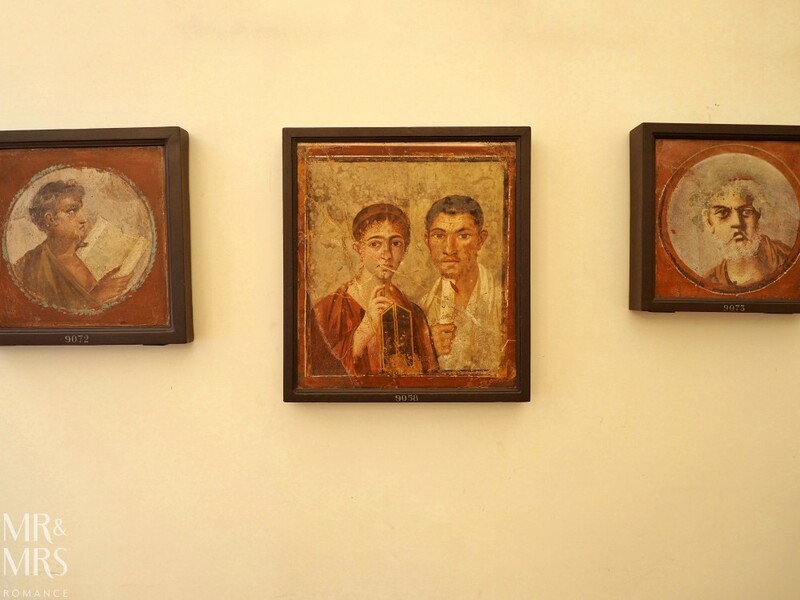 But there are also many objects from Pompeii that you can only see here, like the portraits of the people who lived in Pompeii. You can actually see what the residents looked like. Isn’t that amazing? 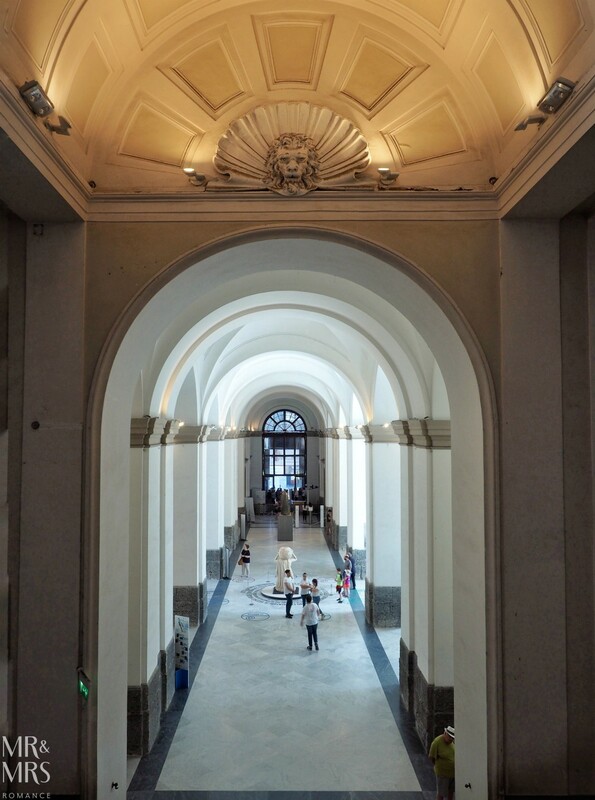 Apart from the wealth of artefacts from Pompeii, the Museo Archeologico Nazionale di Napoli is a beautiful building and well worth visiting. 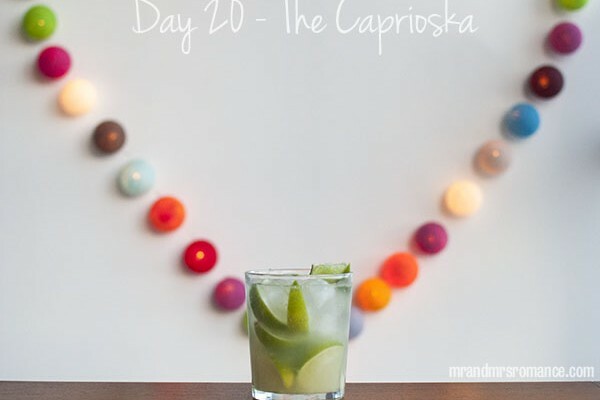 Scattered throughout the city, there are hundreds of little places to stop for a beer or a spritz. But as is always the way with Italy, if you find a very touristy bar, look a street back or to the next piazza. You’ll likely find a little spot where it’s just the locals and the vibe is so much better. 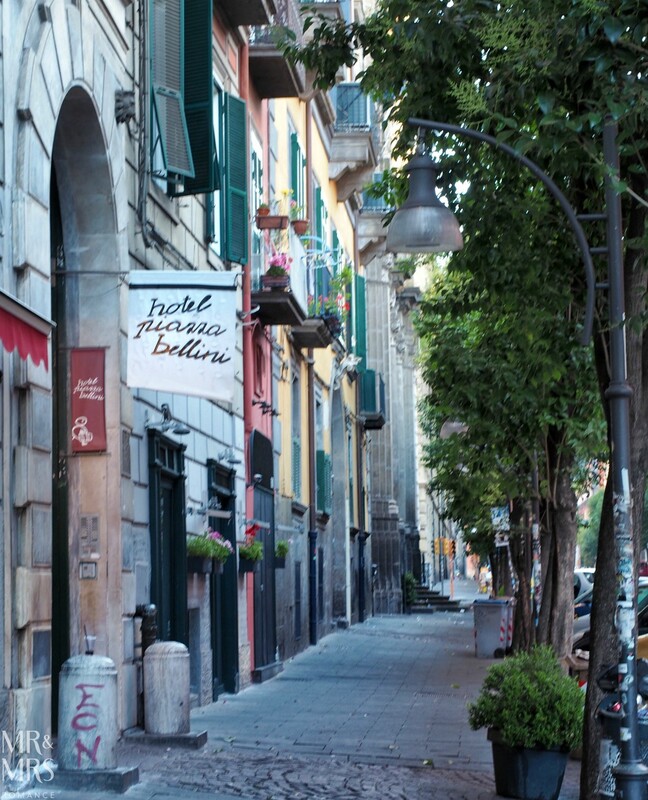 As evening falls, making your way back towards the Hotel Piazza Bellini, you’ll discover the whole of Via Santa Maria di Constantinapoli is full of little local bars. But by morning, like magic, all sign of them will have disappeared. 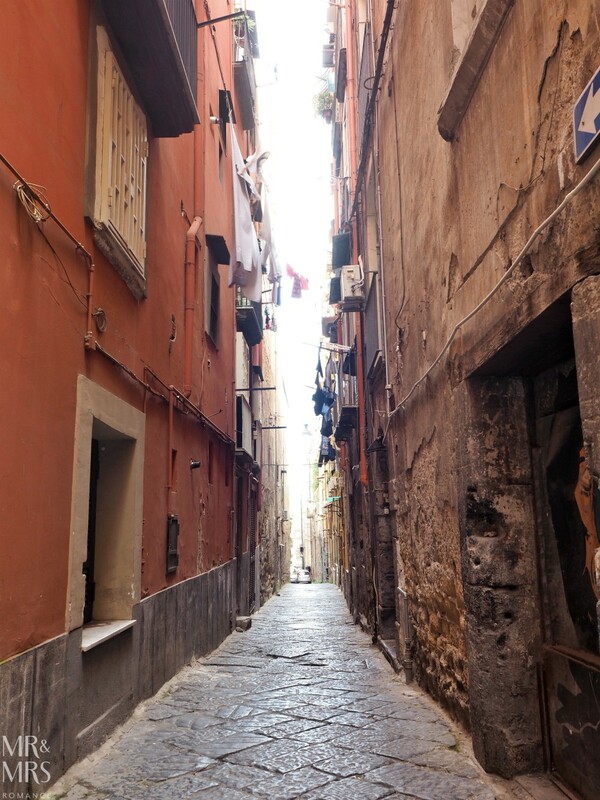 Literally meaning ‘Naples splitter’, Spaccanapoli is a narrow street that’s said to ‘split’ the oldest part of Naples in two. Traditionally it ran almost from the grand fortified hilltop monastery and museum Di San Martino in the west of the city all the way to Garibaldi Station in the east. 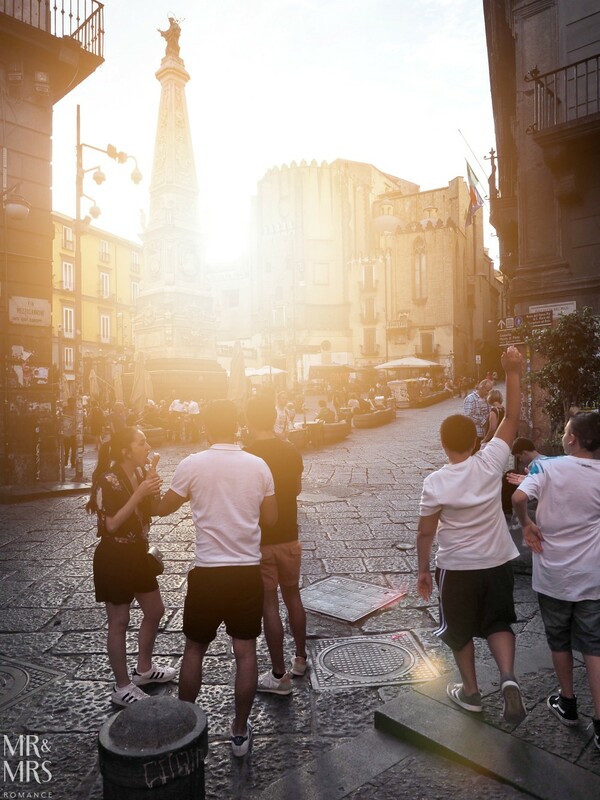 These days it’s thought to start at Piazza Gesu Nuovo, which is a short walk from the Hotel Piazza Bellini. There’s also a cracking pizzeria there – the Pizzeria Fiume and its sister restaurant Annaré. 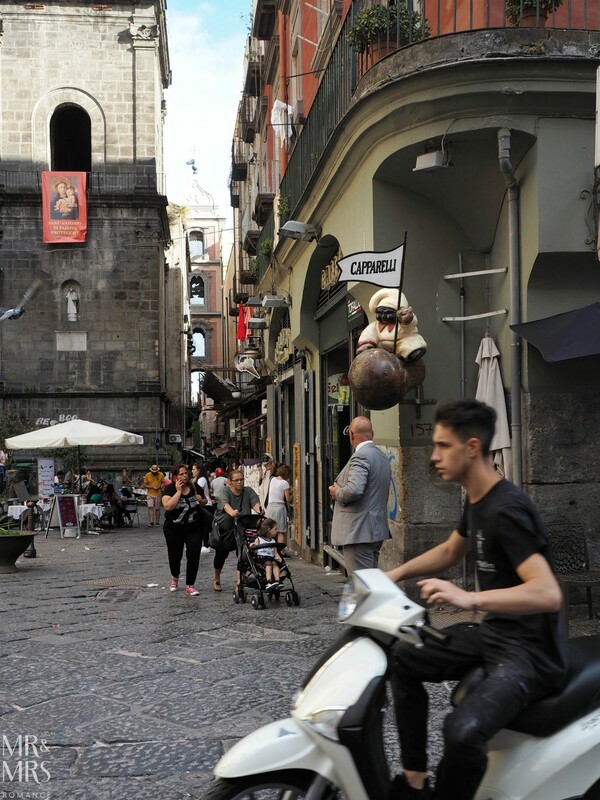 If you follow the Spaccanapoli east for a while, it gets busier and busier, and narrower and narrower. 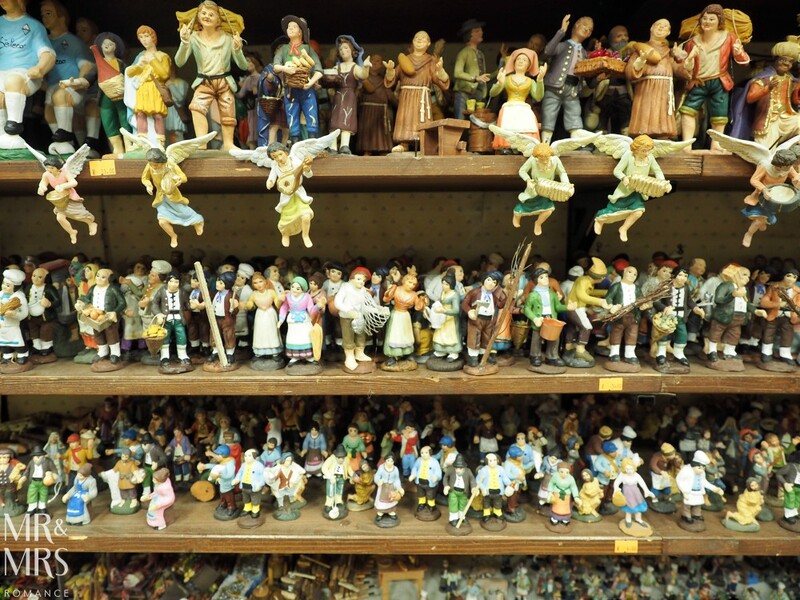 Eventually, it becomes ‘Christmas Street’, with hundreds of stalls selling – of all things – a huge range of dolls house accoutrements. 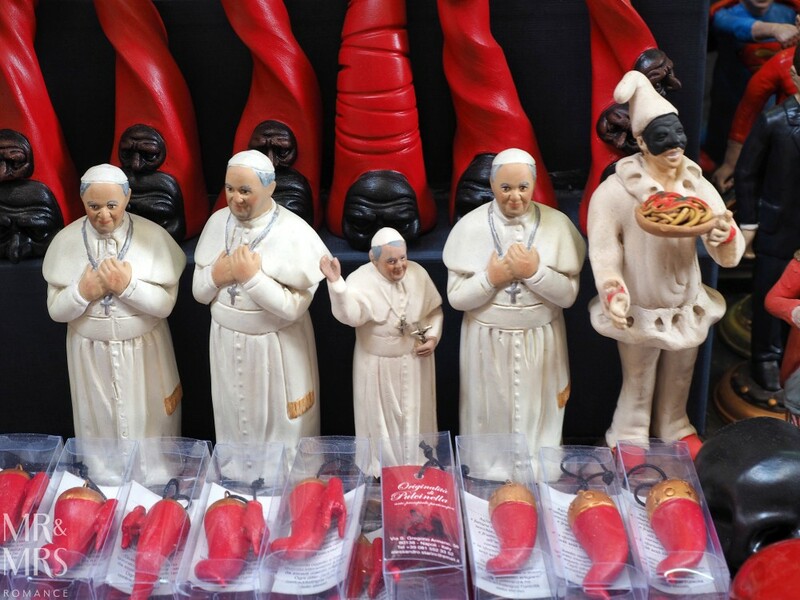 There are Christmas decorations here too as you’d expect, and also a host of at times very strange souvenirs. It’s worth the walk just to see it all. 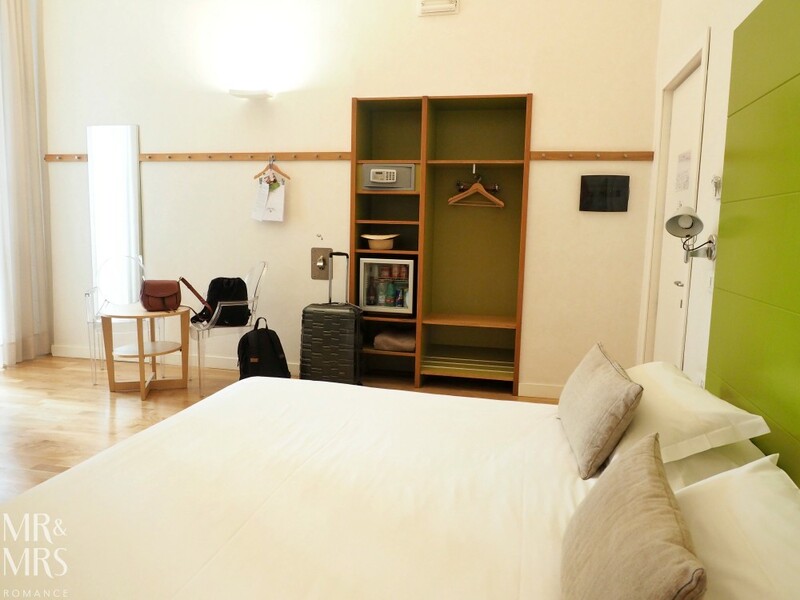 It’s clear to see that the Hotel Piazza Bellini feeds on its incredible location and its youthful, fun personality rather than relying on luxury or how many stars it has. In fact, this hotel could have gone a couple of ways with its theme. The owners could have easily rested on the laurels of the whole 1500s palace thing. They could have gone with a lavish, dark, aristocratic look – and perhaps made the hotel feel more up-market. Instead, the Hotel Piazza Bellini feels much more welcoming. And this attitude is certainly reflected in the friendly staff. As for us, we certainly weren’t expecting to find something this modern in the very heart of historic Naples.